We all know about the five second rule, if one drops food or sometimes cutlery, on the ground, it will still be safe to eat or use after five seconds of being dropped. But there is another five second rule we lovers of canine’s should pay a great deal of attention to and observe! With the overtly hot and humid days that one experiences over the summer there are lot of factors one should take into account before latching the leash on to your dog’s collar! If the air is as thick as pea soup with humidity then a short walk is in order and bringing water along for you and your friend is a smart idea. One thing I think we humans forget, as we have rubber soles on the bottom of our feet, is how hot the sun can get when it is beating down on the asphalt or concrete! One small trick to making the decision of whether it is a good idea to take an afternoon stroll is to place the back of your hand on the pavement. 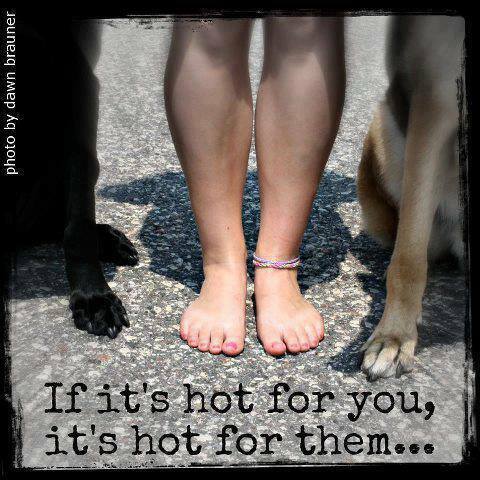 If you cannot hold it for five seconds, it’s too hot to walk your dog! A couple of years back I used to walk my dog for long stretches, it took two things for me to realize that I needed to be more considerate of Lucas’ paws. The first, I realized one day that the rubber on the bottom of my new shoes was completely worn through after one month of walking . The next was when I realized Lucas’ foot was bleeding and had broken open, first off we were walking too far, secondly, it was too hot on his feet! I had to bench my poor boy for two weeks for his paw pad to heal properly, but sadly that spot has a weakness now which is my fault. I am always advocating to get out and walk, and I still am! 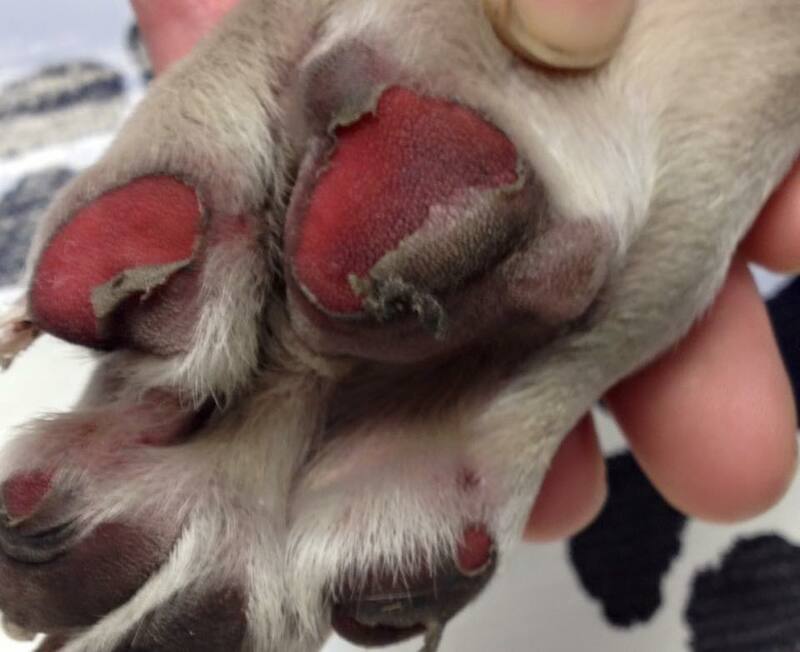 Make sure you consider a few important key factors: your dog can’t bring water along, their paws pads can easily get burnt in high heat, they are wearing a fur coat and they are also capable of getting a sun burn! If you have to get your dog out in the midday summer heat, make sure you take short walks, hug the shade and bring water when you decide to hit the pavement!